Every one of the highlights of the auto calendar, the Geneva Motor Show always gets our engines going here at OSV. Last year, highlights included the blistering Ferrari 812 SuperFast, the McLaren 720S and the Lamborghini Aventador. 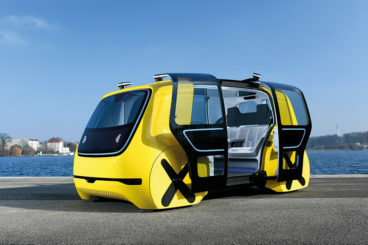 Catching the eye and capturing the imagination this time around is a brand new Skoda gas hybrid, Porsche’s stunning rival to the Tesla X – and, um, a Volkswagen school bus that drives itself. There’s more too, including a brand spanking new Aston Martin that’s so fast the brand themselves aren’t letting us know quite how fast just yet! 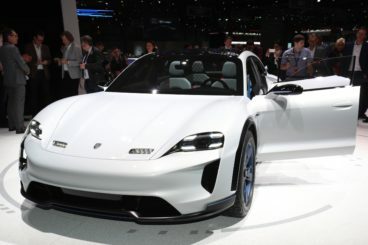 Salivating at the prospect of a Porsche Tesla? Wondering if your kids will be safe on a school bus without a driver? Join OSV as we take a look at the highlights from Geneva Motor Show 2018. 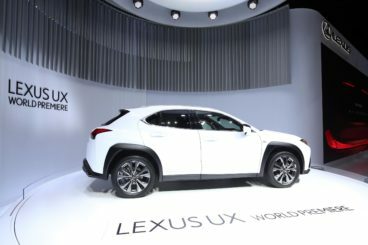 Lexus has, at last, entered the compact luxury crossover sector. The interior is classically Lexus – well-crafted, excellent visibility for the driver, a low-placed instrument panel for improved usability and a “seat-in-control” concept that gives the cabin a driver-focused feel. The UX is powered by a 2.0-litre four-cylinder engine that develops 168bhp, while a hybrid version is also expected in 2019. Price? Lexus have kept this bit quiet but we reckon it will be priced at £32,000. Big, bold and brazen are not words usually associated with a Skoda, but neither are muscular or mighty. 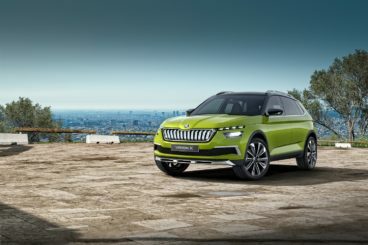 When it comes to describing the new Skoda Vision X, a hybrid natural gas crossover, all these adjectives work fine. Nor is it usual to get excited by a Skoda of all things at the Geneva Motor Show. Times are changing, however, and this big crossover – which has no door handles – has got people talking due to its peculiar hybrid system. Its turbocharged 1.5-litre engine burns compressed natural gas, which the car stores in a pair of tanks located next to the rear axle. Skoda says the power plant can use either synthetically produced natural gas, sustainably extracted biogas, or natural gas. They also reckon the unusual concept will cut CO2 emissions by up to 25%, resulting in an output of 90g/km. In terms of its power, the engine develops 128bhp, has a range of 403 miles and completes the 0-62 dash in 9.3 seconds. The car fits nicely into Skoda’s impressive SUV collection, which includes the Skoda Kodiaq and the Skoda Yeti. Twenty years ago, any parent who was offered the chance put their child on a driverless school bus would have been terrified. In 2018? Well, we’re probably still a little apprehensive, even if the concept of a driverless car has been around for a few years now. The SEDRIC school bus, which has also been nicknamed the “cool bus”, is a fully-autonomous vehicle that totally dispenses with the need of a driver. Parents just need to call up the bus, the bus arrives, the kids get on the bus and the bus takes them to school. Happy days. However, it looks nothing like a school bus. In fact, it has just four seats. So where does everyone go? VW claims it’s more of a test than anything else to see where autonomous driving tech can take us. If the Skoda or a school bus hasn’t whetted your appetite, news of the unveiling of a brand new Aston Martin Valkyrie hypercar surely will. At the centre of attention is a V12 6.5-litre Cosworth engine that’s been seen in Valkyrie’s of yore. It’s been recalibrated so that it’s less polluting and it develops an incredible 1100bhp. Keep holding your breath because the Valkyrie weighs a whopping 1000kg, which means that it produces 1100bhp per tonne. Compare that to the likes of a McLaren P1 GTR, which produces 704bhp per tonne. 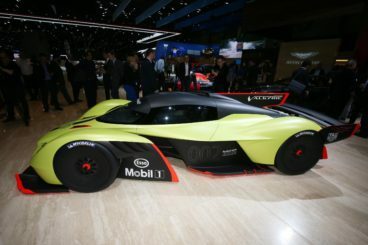 The Valkyrie was joined at the Geneva Motor Show by the Aston Martin Vantage GTE. The Porsche Mission E Cross Turismo Concept is Porsche’s answer to the Tesla X. It was a surprise reveal at the Geneva Motor Show and it continues the Mission E study line that Porsche has been working on for 4 years. A crossover utility vehicle, it comes with four doors, four-wheel-drive and a huge boot that makes it the ideal car for adventurers and skiers (or anyone who needs to transport longer items). It’s also super fast and can haul you from rest to 62mph in just 3.5 seconds, while it can keep going for 310 miles on just one charge. It’s strong, too, and has 600bhp to rely on. In-built eye-tracking forms part of its impressive technology. Release date? Possibly late 2019. The SUV plug-in hybrid sector is awash with talent at the moment. Our favourites include the luxurious Lexus NX 300h, but it’s hard to look past the formidable Porsche Cayenne SE Hybrid. 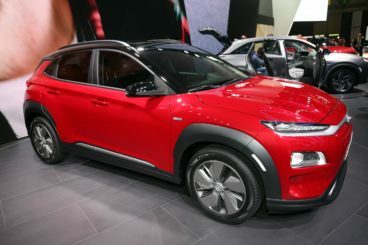 More budget-friendly options include the Mitsubishi Outlander PHEV, which will soon be joined by the all-electric Hyundai Kona. With a 0-62 time of 9.3 seconds, the short-range Kona seems a bit sluggish. The long-range model is much swifter, and completes the same sprint in 7.6 seconds. 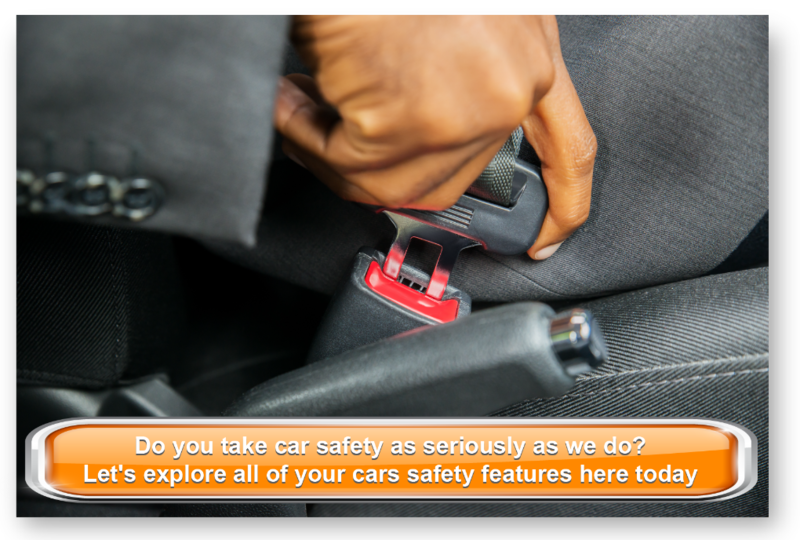 However, the priority for most buyers who are looking at a car like this is the range. Hyundai claims the long-range Kona can keep going for 292 miles on the back of just one charge, which sounds pretty reasonable to us. The short-range variant, meanwhile, is good for 186 miles on one charge. Whichever model buyers go for, a 100kW fast charger can restore 80% of the Kona’s charge in around 54 minutes. A two-door Range Rover? What’s this?! To be fair, there’s been some pretty damn smart Range Rover’s hitting dealerships these past few years. 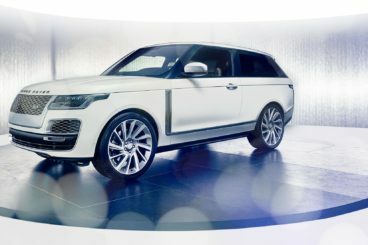 However, Land Rover clearly wanted even more style points, and as a result, their new SV Coupe has lost some doors. It develops a stunning 577bhp, comes with a pair of 10” touchscreens, rear seats that get a different leather colour to the front ones (which are white), and has a 0-62 time of just 5.0 seconds. Indeed, its supercharged 5.0-litre V8 engine is an incredible piece of engineering but the real talking point for some might be that, despite this clearly being a fearsome, badass machine, it does lack practicality. It’s a Range Rover but not as we know it. It also has a £208,000 starting price. These were some of the best highlights of the 2018 Geneva Motor Show. Which ones have excited you the most? Feel free to leave us a comment below!